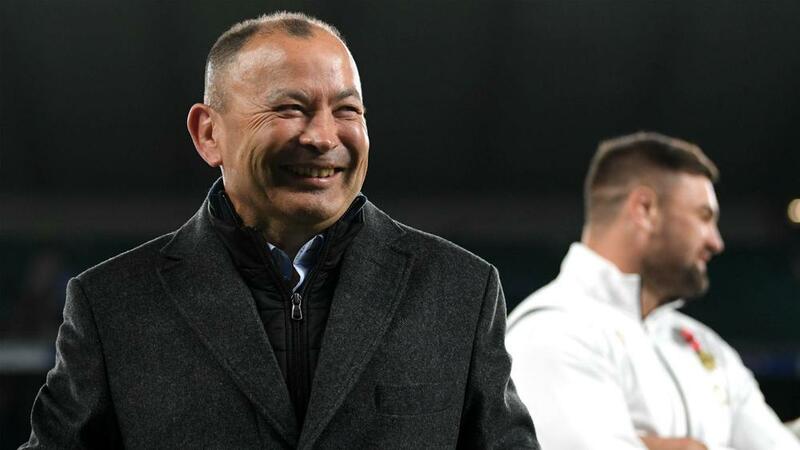 Eddie Jones praised his England players for staying in a Twickenham "arm wrestle" after they edged a battling 12-11 victory over South Africa. The Springboks could only muster a S'busiso Nkosi try and a Handre Pollard penalty during a first half in which they were dominant. Two Owen Farrell penalties ensured injury-hit England only trailed 8-6 and the break, having weathered the storm as South Africa – also missing key men – failed to take advantage of Maro Itoje's yellow card and several opportunities to build a healthy lead. England's inexperienced pack were given a harsh lesson in that opening 40 minutes, but it was a different story in the second half, with Elliot Daly's magnificent long-range penalty and Farrell's strike from the tee eight minutes from time settling it. Handre Pollard missed a late chance to win it with a penalty and there was drama when referee Angus Gardner consulted the TMO right at the end, but Farrell was not penalised for a huge hit on Andre Esterhuizen which may have been deemed to be high. England head coach Jones told Sky Sports: "It was a tough old Test match, we had players out on their feet the last 20. Benny Te'o, who has played 30 minutes of rugby [this season], got through 70 minutes. A real show of resistance, a lot of toughness in our play. Really pleased for the boys. "We just stuck at it, stayed in the arm wrestle, did the simple things well. We had to keep on trying to turn them around, keep them on the back foot, and we did that. "When you're in an arm wrestle it's always going to break up at some stage. We weren't quite good enough to take advantage of a couple of opportunities we had, but we did enough to score the winning points." England face New Zealand next weekend and Jones is relishing the challenge of taking on the world champions. "We are going to prepare well and we can't wait to play them," he added. "You want to play against the best in the world and the Kiwis are the best in the world, so let's bring it on."